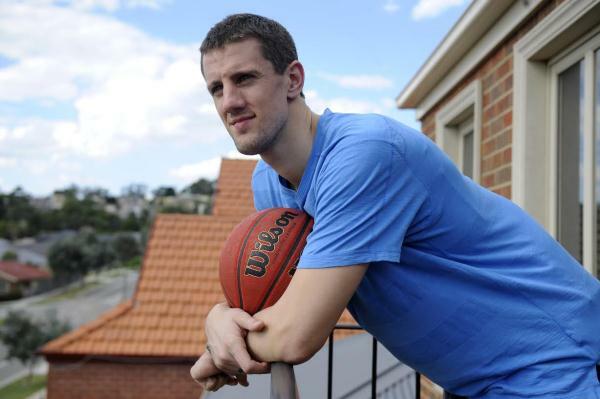 THE day pro-basketballer Daniel Kickert boarded a plane to flee the Ukrainian city of Donetsk, the town revolted. Saturday saw some of 7000 protesters storming the city’s administration building and tearing down the Ukrainian flags that adorned its terraces. In their place, Russian flags fluttered in the breeze. Daniel, a Berwick native, played professional basketball for Azovmash in the Ukrainian Basketball Super League for the better part of two years, before his team’s general manager advised him and other team-mates to leave Ukraine last week, with the country teetering on the brink of war with Russia. Now returned to the safe expanses of Berwick, Daniel believed Azovmash had been forced to remove itself completely from the Ukrainian league. “Leaving was a mutual decision between us and the club. The teams closer to Kiev sent players out of the country a bit earlier,” Daniel said. Azovmash was based in Mariupol, a city tucked next to the country’s eastern border with Russia and almost directly south of Donetsk, where Daniel’s plane flew from on the weekend. The 30-year-old said his heart went out to former team-mates who lived near the capital, Kiev, where fighting had escalated. “For those guys it’s really extreme, people had been killed outside their training facility, people couldn’t leave their homes,” Daniel said. The conflict in Ukraine can be traced back to November last year, when a series of relatively calm protests erupted against then-President Viktor Yanukovych’s decision to not sign a free trade agreement with the European Union, opting instead for closer ties with Russia. But last month the unrest reached fever pitch when President Yanukovych was ousted and sought exile in Russia, after which Russian President Vladamir Putin mobilised his nation’s troops to seize control of most of the Crimean peninsula. The plight of the Ukrainian people first hit home for Daniel as early as November when the Australian was in Lviv, a city in the county’s west, and saw thousands of students marching through town. “I saw how upsetting it was for these Ukrainian students to have that EU decision taken away from them. “They want freedom of movement to study in the Europe and live in Europe, something the neighbouring countries don’t have to worry about,” Daniel said. Now safe in Victoria’s south-east with his wife Erica and parents Rudy and Jenny, Daniel concedes he will probably never play for Azovmash again; a team he was confident was the strongest chance to win the Ukrainian league championship. But it is the Ukraine and its people that Daniel spares an even stronger thought for, as the country falls deeper and deeper into disarray. “I’m concerned for them, all of the Ukrainian people. If the conflict escalates into anything full-blown, the country could be divided up,” he said.